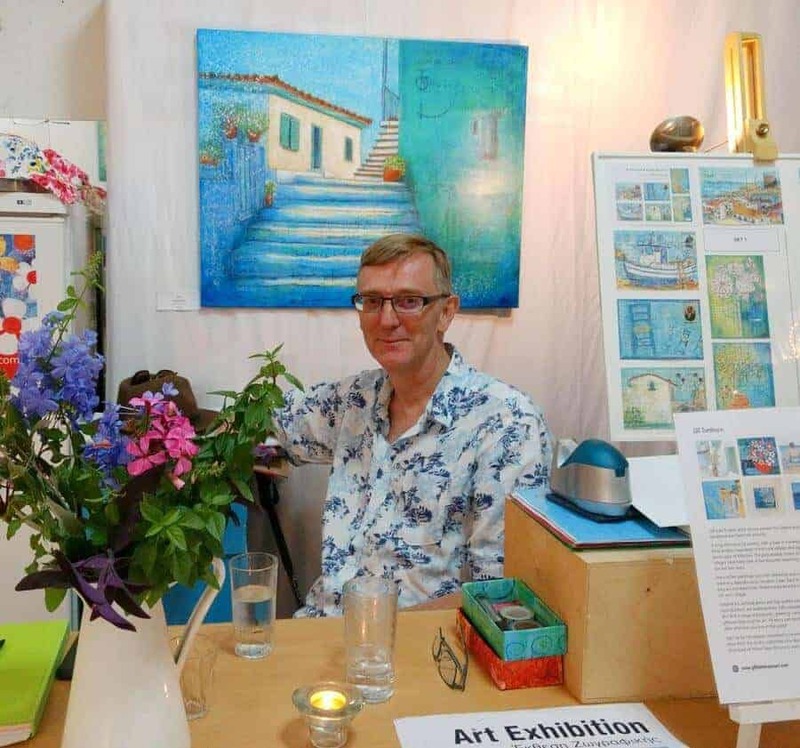 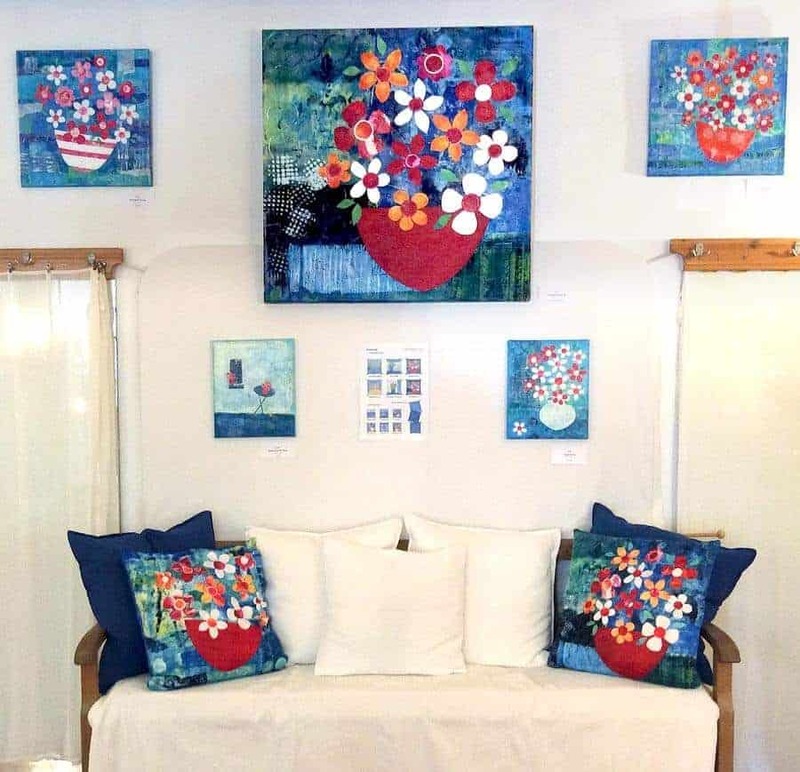 Many thanks to all who stopped by my Summer Exhibition in Koroni this year. 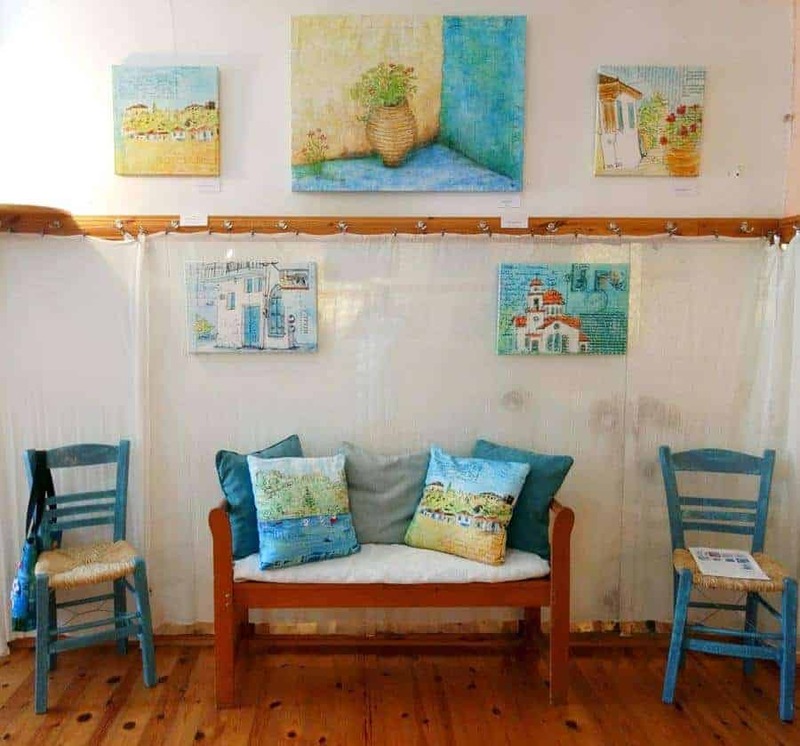 Between 14th and 22nd July we met lots of new people and welcomed many friends and return visitors to the Koroni Dance School, where we have exhibited for the last few years. 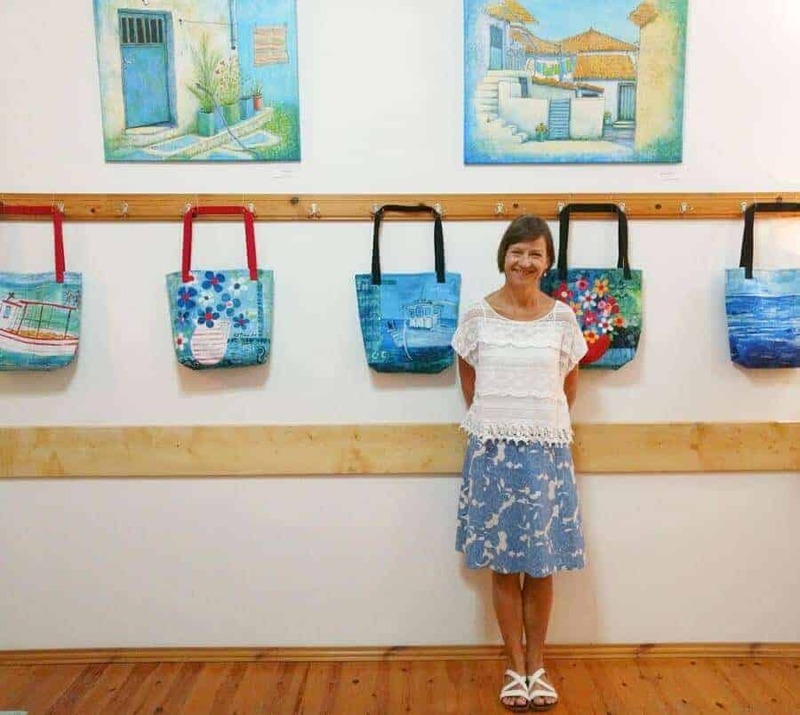 Here are a few photos from the event, which launched the new Art Tote Bags and Art Cushions. 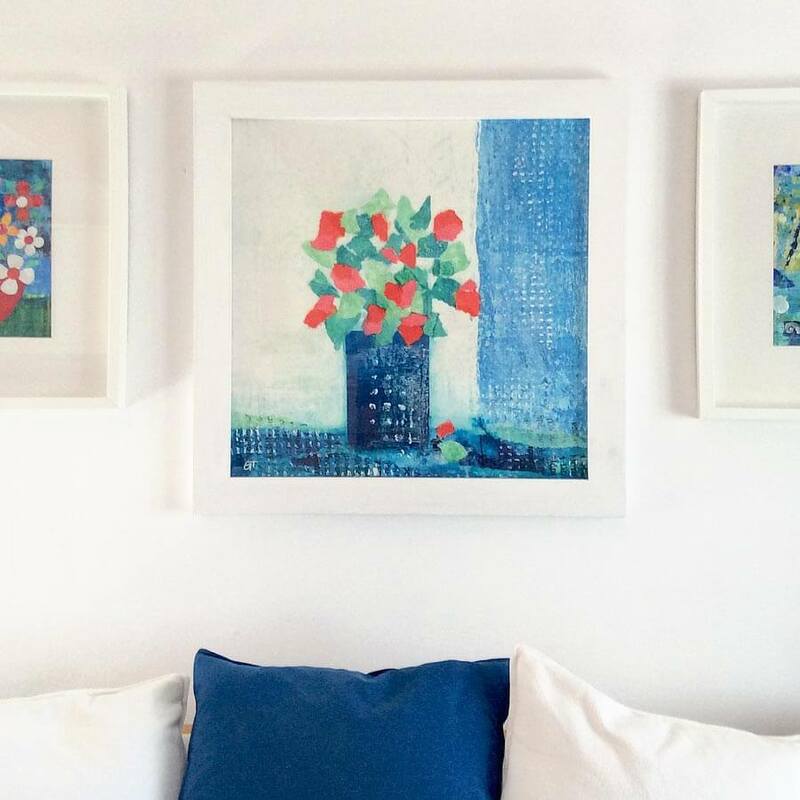 We had this lovely geranium print framed up in a handmade wooden frame especially for the exhibition.